As a late 1950s period piece, Jez Butterworth's Mojo kicks some major sartorial goals. It was a time when American rock culture and traditional English Savile Row suits came together on the streets of London. To get the look just right, Sydney Theatre Company's costume department will be realising David Fleischer's designs from scratch. But not everyone has a team of bespoke tailors working for them, so David has curated a ready-to-wear collection from online retailers, so that you too can strut and swagger your way through a nightclub like Silver Johnny and the boys. 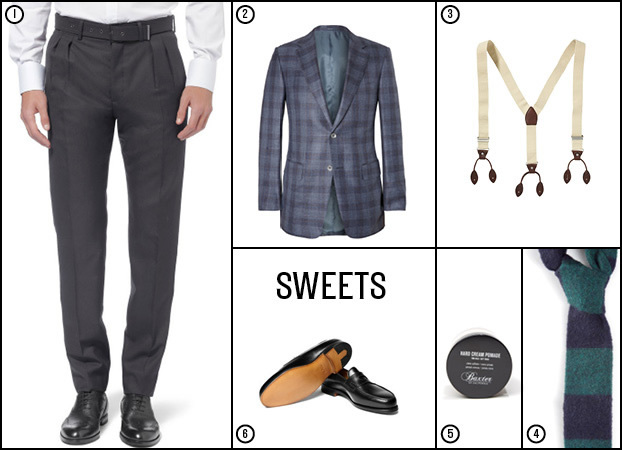 Browse the looks below, suit up and head out. 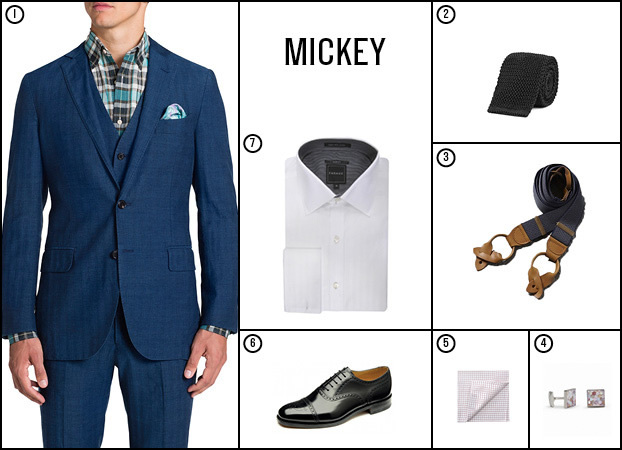 Mickey is (1) M.J. Bale - Landor Blue Jacket. (2) M.J. Bale - Knit Tie. (3) Farrell - Navy Braces. (4) Calibre - Hex Pearl Cuff in Pink Motherof Pearl. (5) Farage - Kew Pocket Handkerchief. (6) Loake - 201B Shoe in Black. (7) Farage - Alex Udderdale White Shirt. Silver Johnny is (1) Fred Perry - Steel Comb. (2) Adieu - Two-Tone Crepe-Soled Penny Loafers. 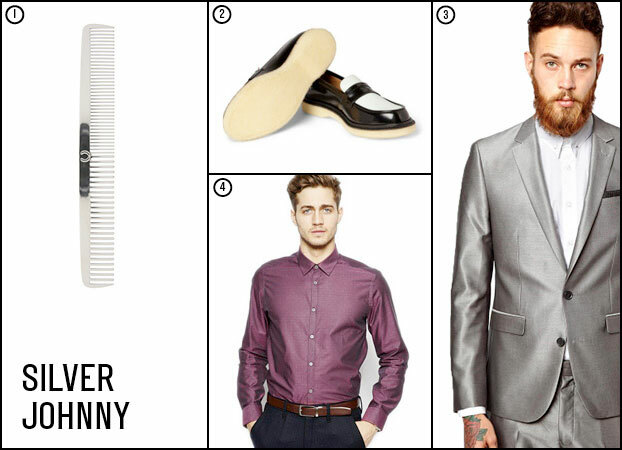 (3) ASOS - Slim-Fit Silver Suit Jacket. (4) Ted Baker - Shirt with Mini-Jacquard. Potts is (1) M.J. Bale - Marne Grey Wool Jacket. (2) Saturdays Surf NYC - Luke Denim Jeans. (3) Weathered - Smith Classic Shirt. (4) Richer Poorer - Rookie Socks. (5) Uppercut Deluxe - Pomade. (6) Ballyhoo Vintage - Fishing Tie. (7) Demonia - Suede Creepers. Sweets is (1) Bottega Veneta - Belted Wool Trousers. 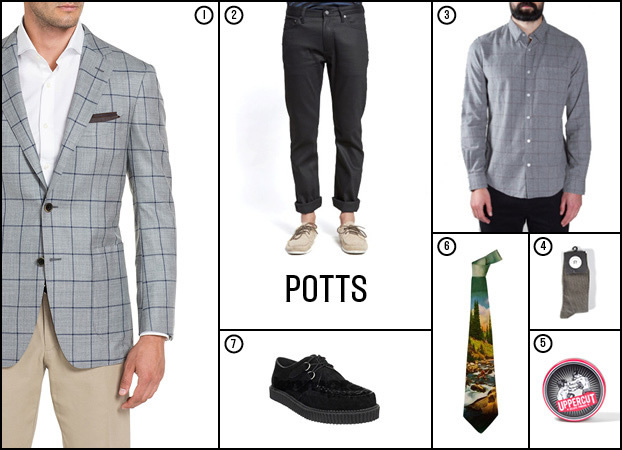 (2) Alfred Dunhill - Damien Check Blazer. (3) Scotch & Soda - Suspenders. (4) The Hill-Side - Border Stripe Flannel Tie. (5) Baxter of California - Hard Cream Pomade. (6) John Lobb - Lopez Leather Penny Loafers. Skinny is (1) Farage - Elbourne Plain Trouser. (2) Farrell - Frank Short Sleeve Shirt. (3) Nicole Farhi - Copal Jacket. (4) Spalwart - Special '56 Low Sneakers. 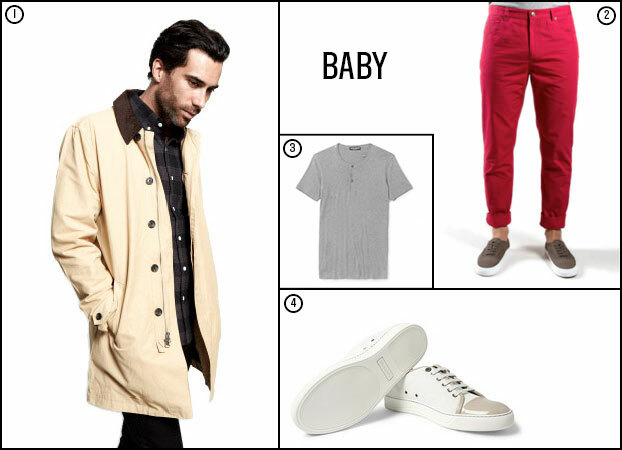 Baby is (1) Saturdays Surf NYC - Maurice Trench Jacket. (2) Weathered - Patrick Five Pocket Pants. 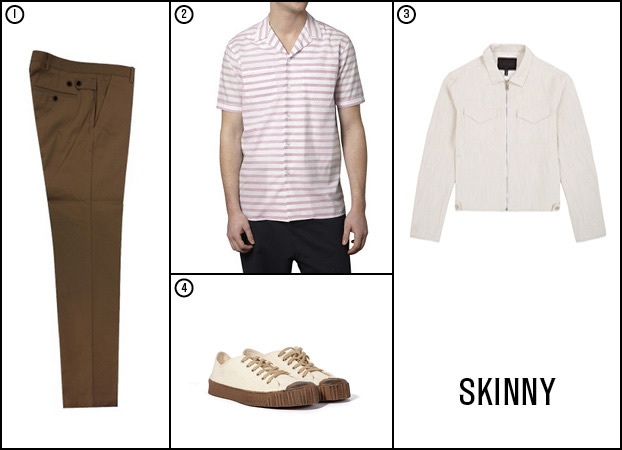 (3) Dolce & Gabbana - Cotton Henley (4) Lanvin - Suede and Patent Leather Low Top Sneakers.